New music from Loretta Lynn, Carrie Rodriguez, Ben Harper, Bonnie Raitt, and a many others. 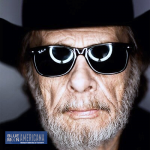 We’ve also got a short set of gospel and some Americana/country throwbacks featuring Billie Joe Shaver and a special tribute remembering one of the great songwriters and country performers of the past century, Merle Haggard. All this on Sonoma County’s newest community radio voice, 88.1 FM, streaming 24/7 at www.kwtf.fm.